Clean CARFAX. Magnetic Black 2017 Nissan Titan XD PRO-4X 4WD Aisin 6-Speed Automatic 5.0L V8 INCLUDES WARRANTY, REMAINDER OF FACTORY WARRANTY, ONE OWNER, CLEAN CAR FAX NO ACCIDENTS, SERVICE RECORDS AVAILABLE, LEATHER, ALL WHEEL DRIVE, NAVIGATION GPS NAV, USB/AUX, Auto-Dimming Outside Mirrors, Auto-Dimming Rear-View Mirror, Engine Remote Start Function, Heated Front Captain`s Seats, Heated Power Tilt/Telescopic Steering Wheel, Heated Rear Seats, Leather Seat Trim w/Contrast Stitching, PRO-4X Convenience Package, PRO-4X Luxury Package: TITAN Box, Rear Utility Bed Step, Universal Garage Door Opener. 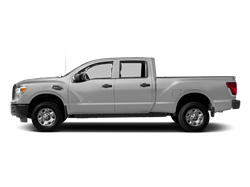 Hello, I would like more information about the 2017 Nissan Titan XD, stock# A5635. 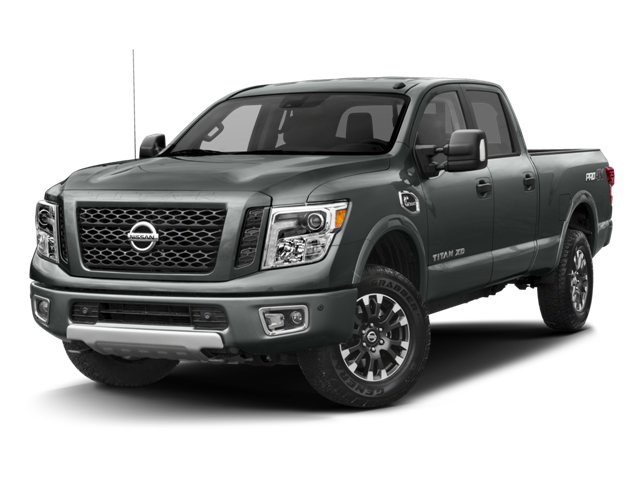 Hello, I would like to see more pictures of the 2017 Nissan Titan XD, stock# A5635.